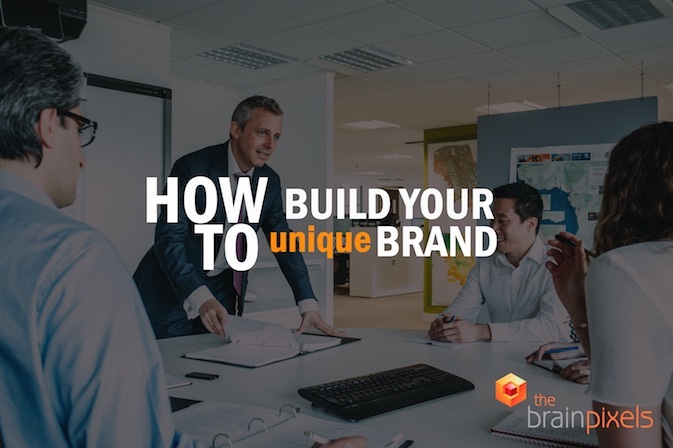 How To Build Your Unique Brand? In today's job market, it's important to know how to separate yourself from the competition. One of the best ways to do this is through smart and confident branding. A clear understanding of your marketing style will develop the relationship between you and your audience. These 7 principles will help you to create a truly recognizable brand. The foundation for building all the marketing around your product, is understanding what features it has. When you know it, you can see what makes your brand unique and different from others. There is always a part that you make better in your industry, so concentrate on developing it. Build your marketing on your biggest strengths. One of the fundamental mistakes that branders make is trying to refer to everyone. The key task before creating the content is understanding who your target market is. The message you send must reflect the way your customers speak. Think of what audience you want to reach: college students or professionals, families or single parents, employers or employees etc. Targeting people based on criteria like their education, profession, or social affiliations will make your brand more understandable and relatable. Start off communication with your audience by building the platform. Well made websites are the face of your company and leave the first impression on customers. It should represent the product or service, its quality and benefits. But it also has to be easy to use, modern and with attractive design. Once you have a good tailored website, people will collaborate with you. Before getting recognized you first should be easy to find. Make sure all of your accounts and posts are public. To make information about you viral, interact with your followers and, always answer the incoming messages. Cooperation with other companies can be also a good idea, for growing your audience. Be prepared to consume a ton of information in your niche. To be the best in something you firstly need to be aware of innovations and trends and adapt to them. Your branding has to be adopted to tendencies but not re-made every season. Many of the world-known companies, have their peculiar logo or slogan for years, but periodically refresh it according to new waves in industry. Balance between being iconic and trendy. Reject ideas that do not fit your company's style or philosophy. Scattering between designs or collaboration with inappropriate brands can cause essential loss of interest and respect of your audience. Prioritize beliefs and goals that you have predetermined over short-term projects which can blow up your reputation. Brand is not only perceived externally, but is the company's philosophy and market position. You can follow the footsteps of popular companies, but only your uniqueness can attract the desired clientele. Remember why you started, your principles and what makes You You. If you are ready to have your own web platform and take advantage of its benefits, contact us at info@thebrainpixels.com and we will help you build it.